New! 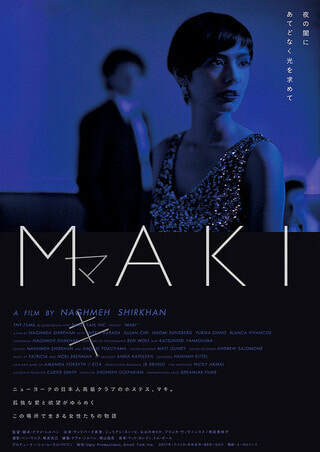 The feature film "MAKI," where Yurika played supporting role of Yumiko, will be released in Japan after NY premiere. Clip of selected scenes from movie is listed in "Gallery- video" page. -Yurika will play a lead role of Mei Sing. New!! It was featured in SInoVisions!!! "Scenes from the Staten Island Ferry 2017"
The Adventures of Minami got great reviews !!! And more at Theater in the Now. -Grab&Go, the web series Yurika starred as the lead was on WestView News! "Rashomon" ~reading workshop - Japan Performing Arts Inc.
Added a new voice-over demo! : Commercial voice-over in Mandarin for health insurance plan. *Discount tickets can be purchaed until the day before opening! Closed! Thank you for coming! Closed! Thank you for coming!! !